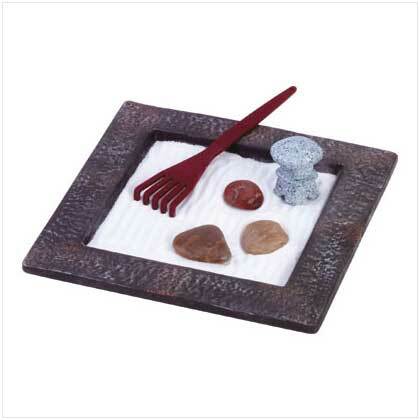 The Bonseki is a miniature Japanese rock garden. The Zen Buddhists believe that by contemplating the Bonseki’s tiny, symbolic landscape they can achieve greater understanding of the larger world and attain a greater sense of peace. This entry was posted in Cool, Who Knew?. Bookmark the permalink.